For anyone interested in Bastion, Exile’s End, and Everspace, Limited Run Games has given them physical releases. 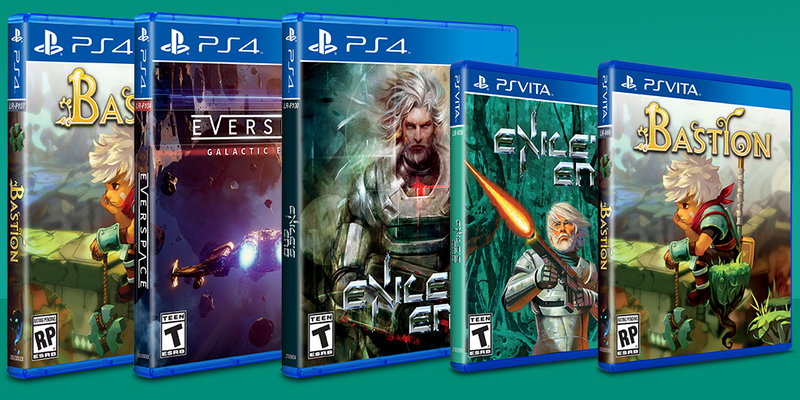 Bastion and Exile’s End will both have a PS4 and PS Vita release. Everspace: Galactic Edition is the version being sold for PS4. All versions of Exile’s End and Bastion are priced at $24.99. Meanwhile, Everspace: Galactic Edition is priced at $39.99. Importantly, there will be a second batch available at 6PM Eastern Standard Time. Everspace: Galactic Edition provides not only all of the game’s DLC, but also the game’s soundtrack. The soundtrack itself is free, as digitally Everspace: Galactic Edition is priced at $39.99 as well. Exile’s End has a reversible cover and Bastion has a fully colored manual and illustrated interior art. All of these titles are available on their site.